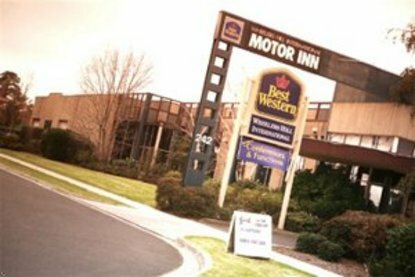 Situated 26 kilometers Southeast of the Melbourne CBD, you will discover the 4.5 Star Best Western Wheelers Hill International. We have 40 superbly appointed units, including nine luxurious suites. Enjoy a scrumptious meal at Joseph's Restaurant or enjoy a delicious cocktail in a totally relaxed atmosphere. The Best Western Wheelers Hill International caters for all guests be it on business or purely leisure, we will look after you in true 4.5 Star style. Relax by the pool or laze in the spa to relax those tired limbs. AFL Park is a mere .80 kilometers away and the sights of Melbourne are in easy reach by public transport or taxi. The Dandenong Ranges are a leisurely drive away and Port Phillip Bay is the same distance to the East. Come and enjoy our hospitality, we know you will not regret your visit.